We are fifteen days into the start of the New Year and hopefully the start of a transformation in our thoughts about diet and health. If you haven't realized it yet, if you started your Whole 30 journey on the first, congratulations, you are halfway through! At this point hopefully your energy levels are rising and you're adapting to breaking old habits. If not, if it's been a struggle. Today is a new day. Tomorrow is a new day...you only have the here and now. You can start over again at any point. You are worth sticking to your goals! By figuring out a few of your favorite recipes to incorporate with your basics, I truly believe you’ll start to enjoy the experience. 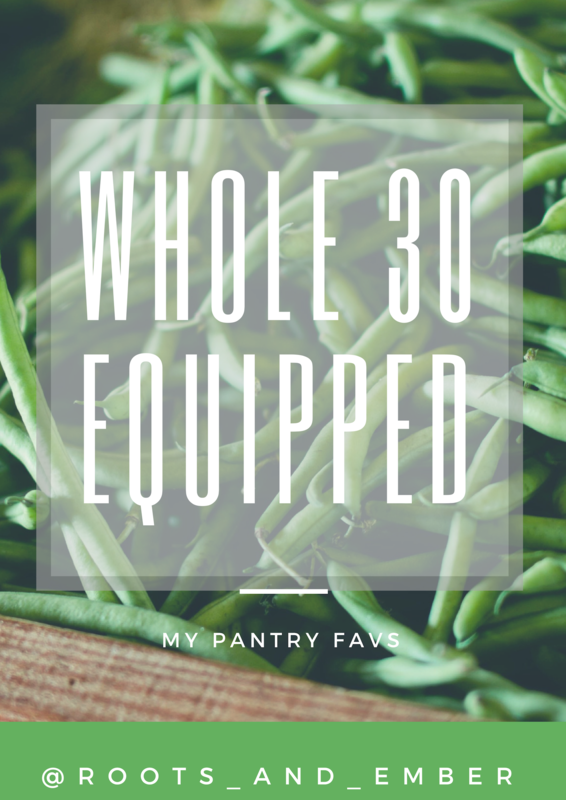 I wanted to share some of my favorite Whole 30 dishes and pantry items that we have incorporated into our daily lives. My goal is that the thought process doesn’t end at the end of thirty days. Instead, I seek to find ways to incorporate the Whole 30 process into my meals and eating habits ongoing. I will fully admit that a decent amount of my diet is not compliant, especially around the holidays. 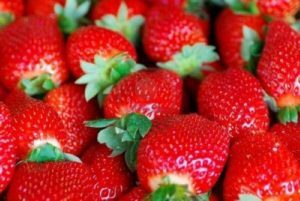 But having gone through the process, there have been some long-term adjustments to the products we purchase and meals we plan to keep on a clean eating path. One of the things I loved most about this program is that it cultivated a love for fresh and healthy foods by trying new foods and new combinations. These recipes have redefined our family’s concept of comfort food and I’m happy to never look back. You can’t miss the most important meal of the day! But I’m telling you, my favorite breakfast foods have forever been all wrong. I like savory and sweet. I’m from the Cincinnati area, so one of my favorite breakfasts is the Cincinnati signature goetta, which is unhealthy enough on its own. Then I piled it on a waffle and slathered in maple syrup…not a healthy choice by any stretch of the imagination. My second favorite breakfast food? Home cooked sausage biscuits and gravy, fat and carbs all the way. That’s why I was so shocked when I found this recipe by Real Food with Jessica for compliant sausage gravy with potatoes. This mouthwatering dish is guilt free and doesn’t sit nearly as heavy on my stomach. I prefer to roast the potatoes for about 40 minutes at 400 degrees. Another recipe that Jason and I fell in love with during our Whole 30 journey, that he still uses frequently now that he is a vegan is Prevention Rd’s apple coconut breakfast bowl. I found this and thought we’d give it a shot, but never thought it would be satisfying enough as an entire breakfast. I will admit I was incredibly wrong, this is a perfect way to start your day. If you’ve ever engaged in any sort of diet, you are well aware that weekly lunches and meal planning can easily make or break you. It’s in the moments that you’re too tired to cook, or don’t want to have to make one more decision during your day that you’re more susceptible to break your discipline. A popular and productive trend is meal prepping salads and similar meals. While this is a great habit, I prefer something a little heartier that I could prep maybe on a Sunday and Wednesday and be covered for the week. Side note: this is ironic because before the Whole 30 I never ate either type of food I'm about to share. Are you like me? My best friend and worst enemy is dinner. Do you start the day with every ambition of creating a nourishing, home cooked meal for the family, and then about half an hour before leaving work suddenly realize you're far too exhausted? More often than not, I'd much rather have something I can create quickly. Below are a few of the easiest recipes with the best feedback from my family. I try to avoid anything with complicated ingredients or excessive steps. The first I love is the Strawberry Basil Chicken by Wholesomelicious. It's ready in next to no time making it a perfect weeknight dinner. Another recipe I tried toward the end of our thirty days, that has been incorporated into our regular meal schedule is Noshtastic's Shepherd's pie. It seems insurmountable to permanently give up some comfort foods, even though I know we are all fully capable. This compliant Shepherd's pie gives all the elements of a hearty home cooked meal without the carbs and over processed ingredients. Again, it's a meal that our entire family loves regardless of whether or not they have ambitions of eating healthier. Moving on, if you have an instapot or decide to invest in one during this process, it is a game changer! I'm including a link below for the one we have which is plenty big enough for feeding my family of seven. Meals that would take me one night to prep and one night to cook are now a breeze to throw together after work (it does help that Jason is an amazing sous chef). The recipes below, I stumbled upon as I was scouring Pinterest for Instapot recipes. 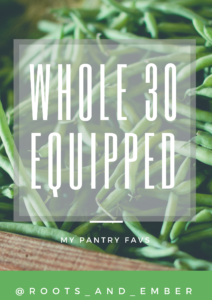 I was so excited to see the abundance of Whole 30 plus Instapot ideas. Chicken tortilla soup has long been a recipe I've heard friends talk about on any number of diet programs. 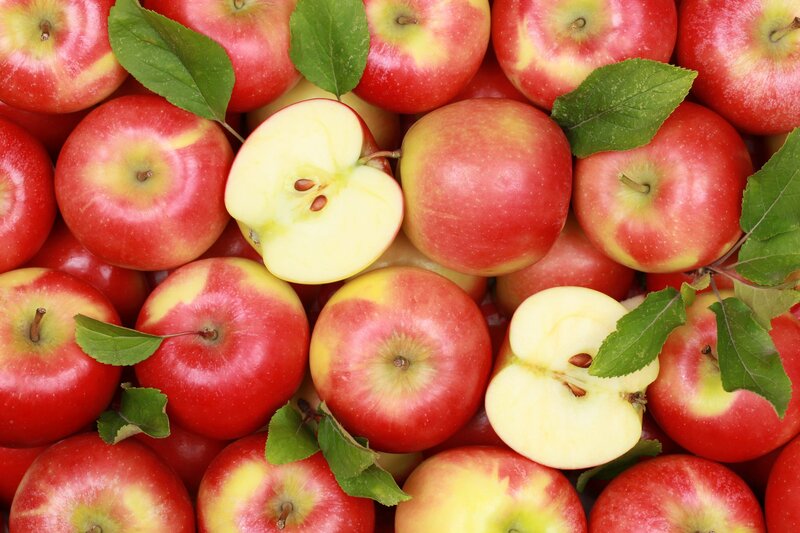 Understandably, it's full of nutrient rich ingredients and tantalizing flavors. You just need to be sure to leave the cheese, sour cream, and tortilla chips out of the equation. Trust me, this is plenty good to stand on it's own. One thing that's fun about the Whole 30 is that you can really think outside the box with some recipes. I thought for sure we would have to give up some of our tastes in ethnic foods. Honestly, if your'e trying to really eliminate and figure out allergens, it may be best to give this one some time before you try it. But this recipe is Whole 30 compliant and my favorite tikka masala recipe regardless of compliance! If you like Indian food I highly encourage you to try this recipe. Pro Tip: Make sure that the coconut milk used does not contain sulfates and substitute kale, spinach, or 'cauliflower rice' for rice. 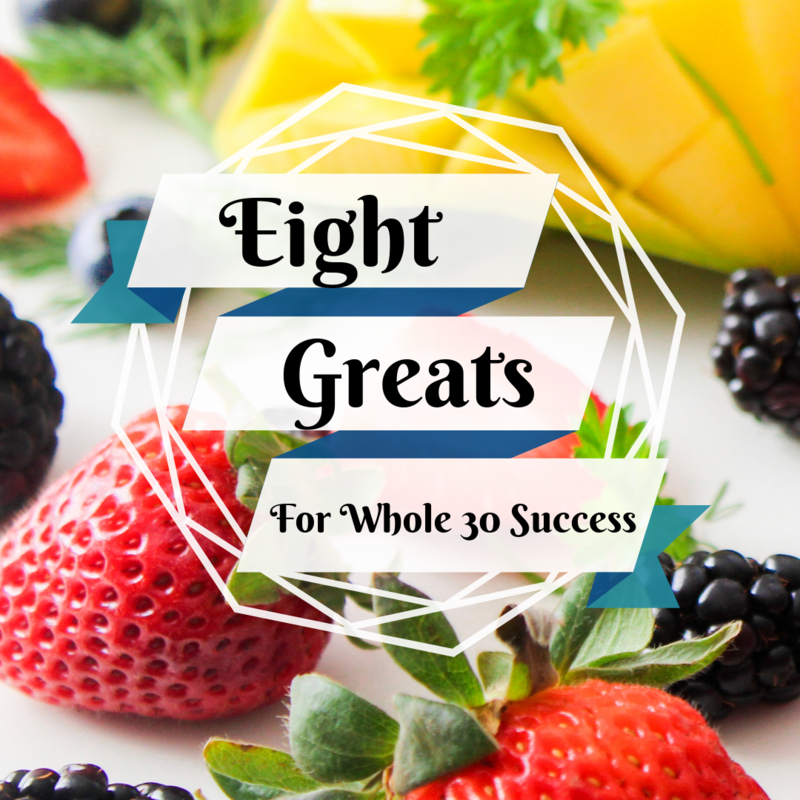 There you have it, a sampling of my favorite, tried and true Whole 30 recipes. I'd love to know what your favorites are, or how you like these if you give them a try!